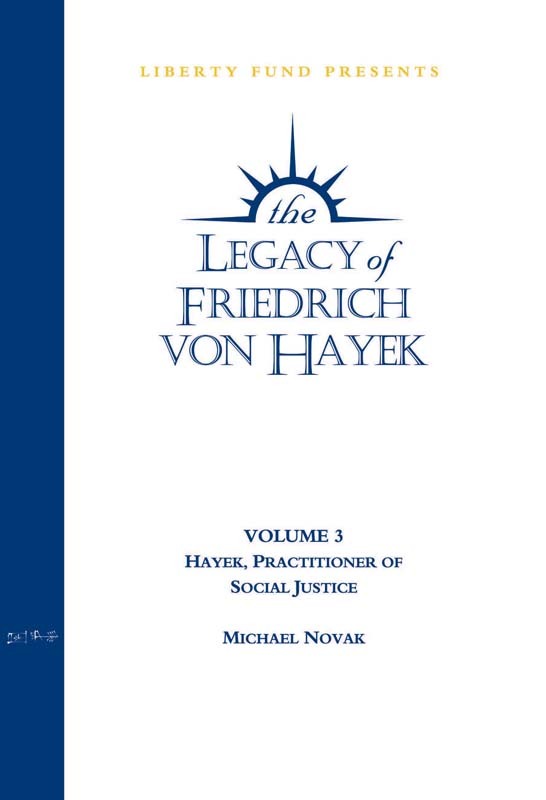 In celebration of the one hundredth anniversary of Friedrich von Hayek’s birth, Liberty Fund and the Committee on Social Thought at the University of Chicago present The Legacy of Friedrich von Hayek, a DVD series of seven lectures from outstanding scholars of Hayek’s work. The host and moderator for the lectures is the Chairman of the Committee on Social Thought, Professor Robert Pippin. Novak is the author of twenty-five books and over five hundred articles in the philosophy and theology of culture, including The Spirit of Democratic Capitalism (1982), for which he was awarded the Antony Fisher Prize by Margaret Thatcher. Novak has served as Ambassador of the U.S. Delegation to the U.N. Human Rights Commission and as head of the U.S. Delegation to the Conference on Security and Cooperation in Europe. He was awarded the Templeton Prize for Progress in Religion in 1994. DVD. Volume 3. 79 minutes.